I know how stressful it may be when your Facebook or Twitter account gets hacked , banned or had some issues , and you might have tried fixing it but all to no avail , and the only choice you have is to open a new account but you can't normally use your existing Gmail address to open a new facebook else you'll be getting a message like "email already registered" , also it's stressful creating a new mail just to create another Facebook or Twitter account , also its hard to manage multiple mail account. So today i will showing you how to use your already owned Gmail account , to create multiple Facebook and Twitter account . Yes two different addresses and they both leads back to the main Gmail Account, which means you can also create a Facebook or Twitter account using "yourname@googlemail.com" but it doesn't ends there as you can still create more with same Gmail just by adding dot(.) anywhere in the Gmail address . You might be asking " wont google notice this?" NO , Google ignores the dot(.) 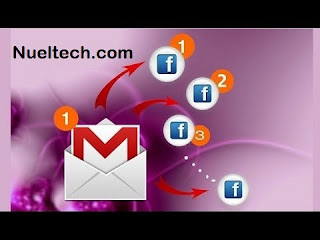 in the Gmail address and all the addresses above will lead back to the initial Gmail Account , you can use this trick to create multiple Facebook and Twitter Accounts , and you can also try in on other social networks too . this really help me alot. because my account was hacked last week. this would be an opportunity for me. Really ? It will . You mean your Facebook account? I tried it out, but landed on a page where I was asked to input a 6 digit code that was send to my original email address. After imputing the code, I was logged back into my original fb account. I did it as you said, but was that suppose to happen.? Samuel , i'm not actually getting the issue youre trying to point out.